Public Safety Dive Supply offers law enforcement and fire departments important drowning investigation training designed for new or experienced dive team tenders, divers or additional personnel that may be called to the scene of a drowning. Our drowning investigation program is approved by the ABMDI – American Board of Medicolegal Death Investigators and the IAI – International Association for Identification. 16 CEU available. What actually occurs in a drowning case? Last point’s seen and last known activity. The collection and preservation of physical evidence. 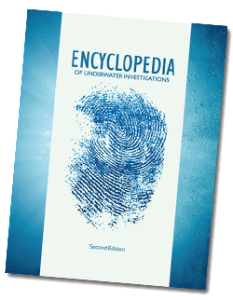 This course, based on the latest research, gives the forensic investigator, detectives, district attorneys and other personnel, the necessary tools to perform a proper water death investigation. The Second Edition correspondence course helps individuals think like a professional investigator and draw accurate conclusions about actual criminal cases.